Dice them using a french fries cutter. Cook the tomato until the water evaporates. Add salt, black pepper, and a generous amount of dried oregano. Cook until the sauce thickens. Pour the sauce in the jars while still hot. Top each jar with tablespoon of olive oil. 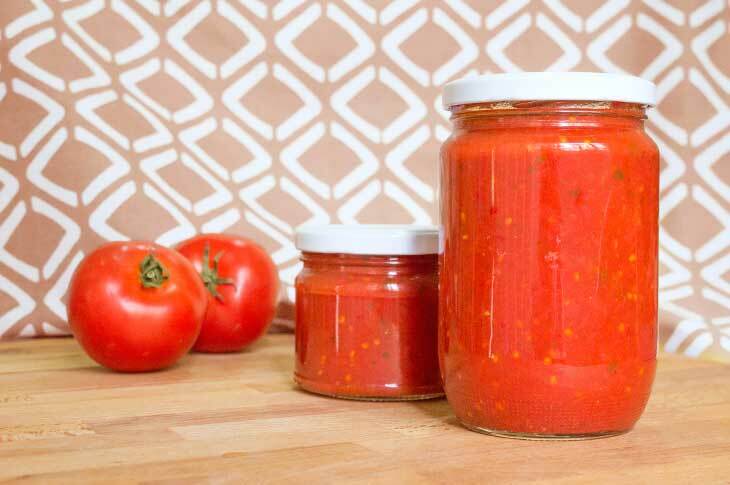 We use this sauce as pizza sauce or in making pasta sauce. Store the pizza sauce jars upside down in your pantry or a cool, dark place. Store the opened jars in the fridge.